The countdown is on. I leave for the Philippines Monday! 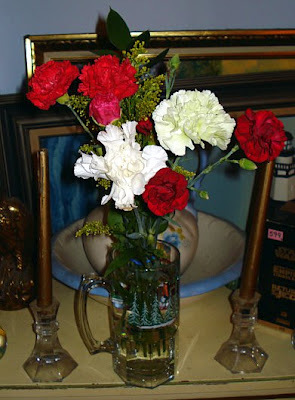 Yesterday I was out sick. There's been a virus going around at work and I caught it. A lovely little head cold. Blah. I spent Thursday in bed. Oh well... the first time I visited the Philippines I gave F.B. a cold. And in January his family was passing around a cold & I ended up catching it. So I guess it's my turn again to give him a 'sipon' (cold in tagalog.) Going to sleep in most of this weekend and finish packing on Sunday. So maybe I can get rid of this cold. Been taking extra vitamin C all week. F.B. 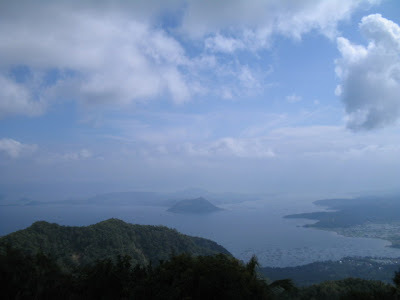 & I decided we should take a day trip back up to Tagaytay City and see Taal Lake & Taal Volcano again. We went back in 2006. We stayed 2 nights but it would have been better as a day trip since there wasn't much else to do up there besides see the volcano. But it will be nice to take a day trip up there and get some new pictures of the volcano. My family will be taking care of the ratties for me. They took care of them the last time I was in the Philippines. I will miss them though. Especially waking up every morning to little rattie faces peeping out of the cage at me waiting for me to say good morning! Or cuddling with my Cinnamon rat. She loves to cuddle with me when I'm in bed reading or on the laptop. She's been very affectionate since her emergency spay. Sugar & Spice will also be turning 1 year old on October 24th. Cinnamon won't be 1 years old until February 15th. I still want to get one more rattie, but that will have to wait until I'm back in the USA and have the time to introduce another rat to the girls. Sugar & Spice were very territorial about Cinnamon at first. They were constantly fighting. It took around 2 months or so before they were used to each other. Spice had been the dominant rat until Cinnamon came along and took her place! I picked up another book for the plane at Target. I got 'The Heretic's Daughter ' by, Kathleen Kent. Target always has a nice book selection. So now I have 2 new books to read during my flight. Leaving Monday morning around 5:45am. Hoping to get down to Philadelphia International Airport around 6:30am. And my first flight leaves for Chicago around 9:30am. (My Flight Itinerary.) I'm Excited! Just a few more days! We will be staying in Makati City 10-13 through 10-17. We want to visit the aquarium & the zoo. Visit Fort Santiago. And F.B. 's 29th birthday will be October 9th!